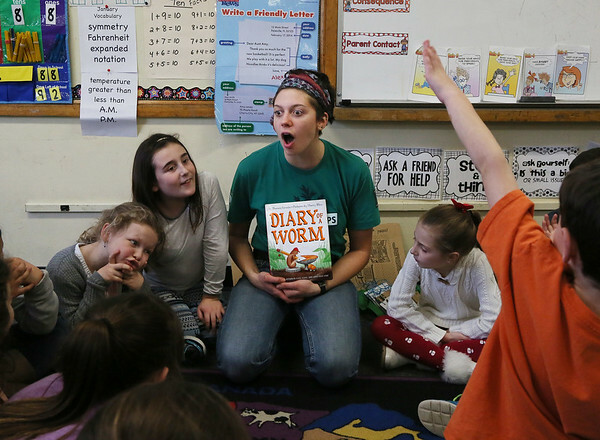 Amy Root, a FoodCorps representative with the Gloucester-based Backyard Growers, prepares to read a storybook about worms while teaching second graders in Mary Hosman's class at Veterans Elementary School about the vital role compost plays in the organic process of growing food. Second and third graders at the school have begun a new project collect food scraps from the kitchen for use as compost. From left are Marissa Todd, Destiny Smith, Root, and Hayden Koller.